It is January, a time many people see as a new beginning – an opportunity to try again. Whether you like to set New Year’s resolutions or not, there’s just something about the first month of the year that prompts a review of how you are doing. Have you reached goals? Do you have goals you haven’t even tried to touch yet? In our last blog, we explored the first two steps for setting goals that are both achievable and lofty. Firstly, you need to daydream and write down how great it would be if you accomplished your goal. Secondly, you need research just how goals like yours are successfully achieved. Once you have completed those two steps, you’re ready to move on to the steps below! Take the information you’ve gathered and fit it into your lifestyle and personality. The key is making it fit you – that’s the only way it will stick. Make sure the goal is measurable. A nebulous goal can never be truly achieved, and it will end up discouraging you. Begin making a plan to achieve your goal by scheduling your workouts. If it isn’t scheduled, it won’t happen. Make a backup plan just in case the weather or something else gets in the way. 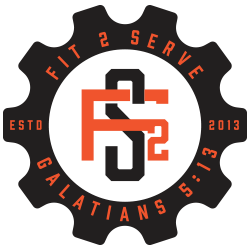 If you have only worked out for yourself to this point, we invite you to join the CrossFit 2 Serve family. Our athletes consistently break through their goals because they focus on helping their community. Contact us today to learn more!